Yes I know I said no post was scheduled for this week but I had news of something a bit different a day or two ago and wanted to pass it on. We have discussed a number of serious wines in recent weeks (and rightly so) but this is all about fun and even frivolity. 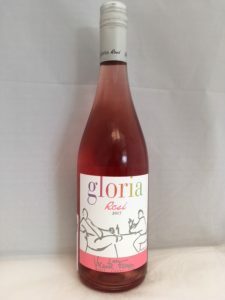 Aldi have secured a small parcel of rosé from one of their regular (and impressive) Portuguese producers and bottles are expected to be in their stores by this weekend. It has been good to see the surge in quality, food-friendly rosé this summer but there still can be a place for light, undemanding, “drink anytime” versions. This is one such wine; it is made from local grapes led by the deeply coloured souzao (also called vinhao) and has 10 grams per litre of residual sugar – about the same as prosecco that (just) qualifies as Brut. 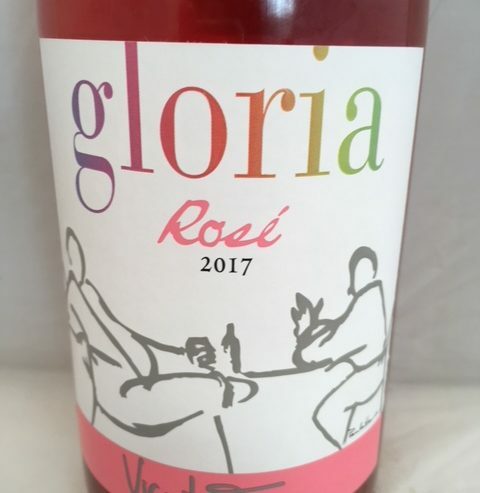 Fresh and dark in colour, 2017 Gloria Rosé (£5.99 at Aldi and 11.5%) offers light, strawberry and red cherry fruit with especially lingering acidity but all enlivened by a gentle Vinho Verde style prickle. 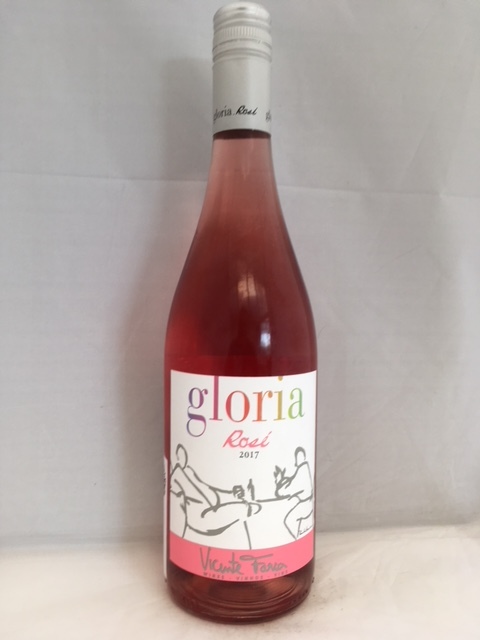 To get things straight, anyone looking for intense or complex wine should probably “look away now” but for a gentle, unchallenging libation to brighten a sunny afternoon in the garden this will tick many boxes for the nation’s sizeable band of rosé enthusiasts. You will need to hurry though, stocks are not expected to last very long. Absolutely love and appreciate your reviews….thank you. Morning Trish and thank you for your kind words. It is always good to hear from website users especially when the post is about something a bit different – as this one is. Do keep letting me know what you think. I agree with Trish. Also many thanks for the tip about Carpinus from Lidl. It sold out pretty quickly at my nearest store, so I’ve had to scout around and it’s so good, I’ve bought another 12 bottles. Thank you, Diane, for your kind words too. Without feedback it is hard to be sure that one is hitting the right spot for subscribers. Like you, I was impressed with that Carpinus. If you like whites with vibrant, lime based acidity, take a look at another wine in that Lidl collection – Winelife ‘Zo’ Zoldveltelini (£5.99). I really enjoyed that too.